ANNOUNCEMENT: The winner of Suzanne's giveaway is Carla Swafford. Congratulations, Carla! 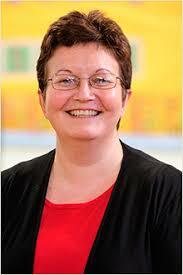 My first guest of the new year is a familiar face - she's my good friend and fellow writer Suzanne Ross Jones. She's here today to tell us something about her new release, a short story collection called 'The Baby of the Family'. 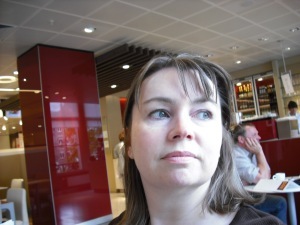 As a short story writer, Suzanne has been remarkably successful and in recent years has been regularly published in various periodicals in the UK, particularly during a time of shrinking markets. Suzanne also writes romantic fiction as Suzanna Ross and is a member of the influential Minxes of Romance, who recently released the smoking hot 'Blaze' anthology. Suzanne had a story in 'Blaze' and recently had her first romance novel 'Trust In Me' published by E-Scape Press. 1. Suzanne, you recently released your first novel TRUST IN ME as Suzanna Ross. I know you've had a lot of success as a short story writer over the past few years. 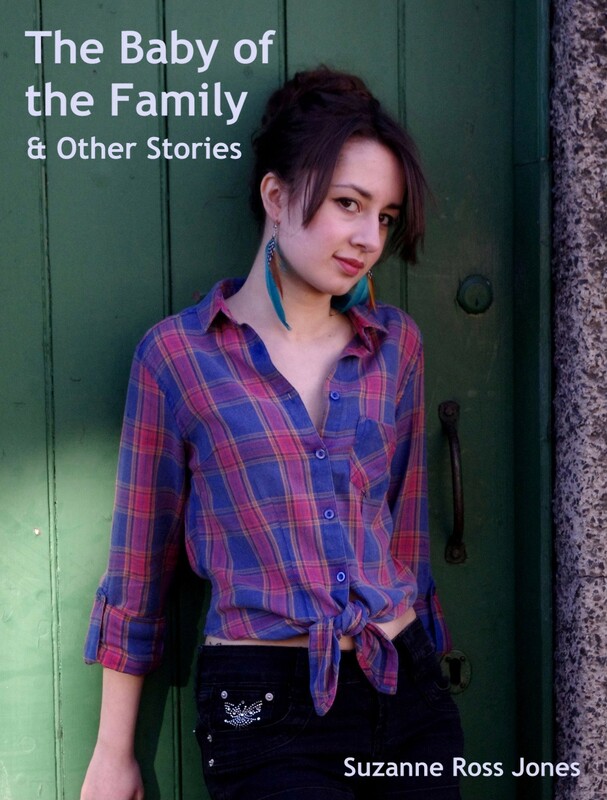 This new book THE BABY OF THE FAMILY is an anthology of some of your already published short stories. Can you tell us something about the book? There are twelve short stories in this collection and all have been published previously in the UK in The People’s Friend. I’ve included my favourite out of all the stories I’ve ever written – Football Crazy. (Am I allowed to say I like one of my own stories? It seems a bit big-headed.) It’s based on something that happened when my daughter was younger – and she was the inspiration for the character of Polly. 2. You've shown that you have it in you to write long as well as short fiction. Did you find it difficult to write novels as opposed to short stories of only 2,000 words or so? At first I did find it more difficult to write longer, but it’s getting easier. I’ve sold three fifty thousand word stories now, and the third one was written much faster than the first. 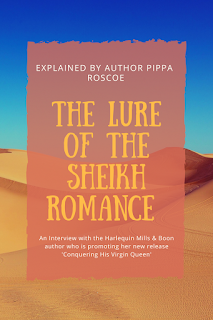 I think, the biggest hurdle was to come to terms with the fact that a longer story isn’t more of the same – although you do have to have more plot, you also have to delve a little deeper into the characters’ lives. 3. Now that you're established as a novelist as well as a short story writer, can you tell me which is your favourite type of fiction? Long or short? my characters for months and find out all their secrets. And I especially like when I see a new cover for the first time. 4. Do you hope to continue writing short fiction as well as novels in the future? Yes, that’s the plan. My writing has stalled a bit in recent months and this meant 2012 ended with me in the very frightening position of having nothing at all ‘out there’. But I have plans for 2013 and I hope I’ll soon have some more stories written. 5. There's been a feeling among writers of short fiction that print markets are drying up and that digital publication is the way to go in the future. What do you think? It is very sad to see how few print opportunities there are for short story writers these days, but those existing markets seem to be going strong. And I like to think of digital publishing as an exciting addition to those existing print markets, rather than as a replacement. E-publishing is a very good way for writers to bring previously published work to a new audience. 6. Can we expect to see more anthologies of your short stories in the future? Possibly more collections of my own stories – and another Minx anthology hasn’t been ruled out after the success of 'Blaze'. 7. Can you tell us something about your current works in progress as well as your future releases? As I mentioned earlier, I haven’t written anything new for a while, but the ideas are bubbling away – and that’s sort of writing, isn’t it? I have plans for more short stories and also for a new pocket novel. 2013 is going to be a good year for me in terms of releases: I have a My Weekly Pocket Novel (Hidden Heartache as Suzanna Ross) coming out on the 18th January and a People’s Friend Pocket novel (currently 'Sean McIver’s Return', but that might change) in April. The large print version of Trust In Me (ex My Weekly Pocket Novel and currently available as an e-book published by E-scape) will be out in the summer. And I’m waiting to see some of my sold short stories in print, including two with My Weekly (the first will be out in the issue dated 12th January) and some with The People’s Friend (including one for the 2014 Annual, which I’m very excited about as The People’s Friend Annuals are always extra gorgeous). Thank you so much for having me here today, Maria. Visiting your blog is always so much fun. Thank you Suzanne! Readers, Suzanne has very kindly agreed to give away one copy of 'The Baby of the Family' to one lucky commenter. So please make sure to leave a comment before you go to be in the draw for the book. A collection of short stories by Suzanne Ross Jones, about life, love and other things. The Baby of the Family: Emma is determined to be taken seriously as an adult - despite her family's attempts to baby her. The Accidental Smile: When a woman whose natural resting expression is a smile meets a man with the grumpiest face in history, nobody expects romance to be the result. Football Crazy: Young Polly's love of football is at odds with her ability to kick a ball. Mum, Faith, is determined to find out why. The Cantankerous Mr Christie: Nurse Sandra meets a variety of patients on her rounds, but Mr Christie has to be the grumpiest. Loving Mark: When Heather marries a man with a thirteen-year-old daughter, an awkward moment or two was expected, but she hadn't thought the difficulties would be caused by his mother. A Taste of Home: When they have to relocate, Alexander is worried Flora isn't happy in their new home. Domesticating Edward: 50-year-old Edward has resisted domesticity all his life - until he meets Mary. Snowbound: Unable to get home for Christmas, Sylvie has to make other plans. Arachnophobia: Penny moves into her dream home and is horrified to find she's not alone - a number of eight-legged guests are determined to keep her company. Cake Worth Coming Home For: Her mother's chocolate cake is definitely that, but Sarah finds it's not the only attraction when she moves home to the village where she grew up. A Blossoming Friendship: Widowed Rachel misses her husband and the neighbours who have moved away. Can she overcome her worries and make new friends? Building Dreams: Annie's married to a builder, so surely she won't have to wait long for a new house on the plot of land her father gave them as a wedding present. Great interview, Maria and Suzanne! Looking forward to reading your new ones, Suz (longs and shorts). Thank you Pat, lovely to see you over here! I loved reading about you Suzanne. Great interview. Looking forward to reaidng your books. Loved reading about your writing process Suzanne! So far I have enjoyed one of your pocket novels (Trust in Me) and a number of your short stories, and look forward to reading lots more! Your new collection of stories sounds wonderful! Thanks for yet another fascinating interview Maria! Hi Nas, thank you for popping by. Wishing you all lovely things for 2013. Lovely to see you here, Edith. And thank you for lovely words about Trust in Me and the short stories. Congratulations, Suzanne. Well-deserved! Wishing you a great New Year. You have extraordinary talent, Suzanne, to be so successful with both short and long stories. I find well-written short stories very satisfying to read - a mini glimpse into the characters' lives with often an unexpected twist at the end. Hi Cherie, thank you for popping by and for your comment. That's a very good way to put it - a mini glimpse is exactly what a short story should be. Suzanne and Maria, that was a great interview. Inspiring to read about an author's journey from short to novel length fiction, and loving both. Happy new year, Nas, thanks for dropping in! Great to see you here, Edith, especially as Suzanne's been a member of our group. We've both enjoyed reading her work. Welcome Carla and congratulations on your release CIRCLE OF DECEPTION too. Hi Cherie, good to see you here. I hope you get a chance to read Suzanne's stories, they are really good. Aw thanks, Tash - you're lovely. Thank you, lovely Mandy. Happy New Year to you, too. Great interview, Maria and Suz. Hi Kath, great to see you over here. Thanks for stopping by. Lovely to see you here, Mandy. Happy new year to you too! Hi Teresa, it's lovely to see so many of our group over here to say hello to Suz. It's a great moment to see her stories in a book. I got your book over the Christmas too and I'm looking forward to reading it. Yay on giving these short stories a new lease on lkife, Suz. And yes, there will definitely be more Minxy anthologies in your future! Oops, that should have been LIFE. Happy New Year and good to get to know more about the author. Interesting interview. I agree that both short stories and novels have their advantages and I too like writing (and reading) both. Yes, Patsy. You and Suzanne and I (I? Me?) seem to have this in common. That's great to know, Romy, thanks for the heads up. Thanks for popping by - and for your comment. Thanks, Patsy - great to see you here. The Baby of the Family & Other Stories sounds like a great book. The cover is nice and I like short stories - simply because they are short. Hello, LifeAsYouLiveIt - thank you for dropping by :0) That's exactly how I feel about short stories - sometimes a quick read is exactly what you need.